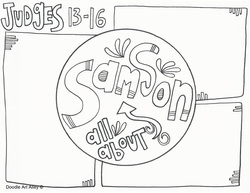 Samson is found in the book of Judges. He is well known for his great physical strength. He vowed never to cut his hair and his strength would remain great. He eventually told this secret to Delilah who cut his hair and he was captured. 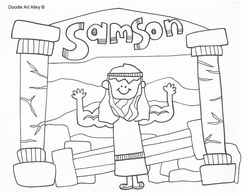 Samson turned to God and was humbled. He was taken prisoner and was tied to 2 pillars in the temple. He pulled on the pillars, bringing down the temple, killing himself and all those inside.